That’s pretty much exactly what everybody’s worried about but too in denial to admit out loud! 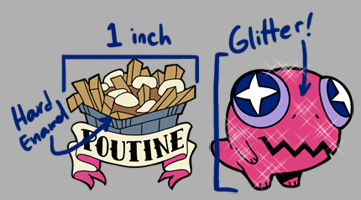 Re: enamel pins: every poll I ran and person I asked put my two design candidates in a tie… so I guess I’m making two pins! I’ll have them at my next convention (Fan Expo in Toronto at the end of August) and then I’ll be selling them online, as well as copies of Fey Winds Book 1 for everybody who missed out on the Kickstarter! SUPPORT SHATTERED STARLIGHT ON PATREON! 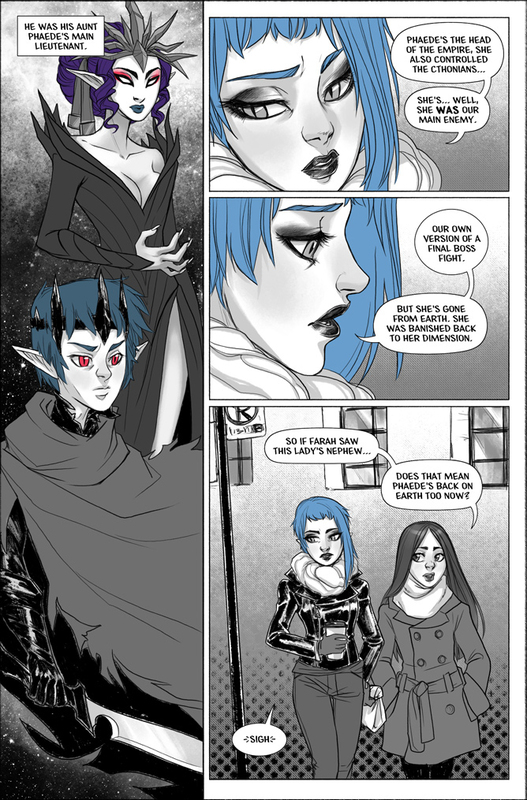 is an online comic about Farah, a former magical girl trying to get her life together when monsters, strangers and old enemies threaten to drag her back into the fray. Updates weekly for now, but this might change in the future, depending on how my busted drawing arm heals!